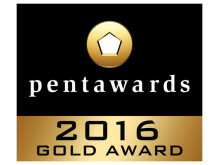 Sony’s h.ear™ headphone series has been recognized with a Gold Award by the prestigious worldwide packaging design competition “Pentaward 2016” in the “Other Markets” category. Pentawards is the most prestigious and international packaging design award that specialises in various forms of packaging design, founded by Jean J. Evrard and Brigitte Evrard in 2007. 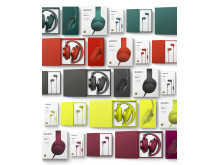 Along with the rich music of High-Resolution Audio (Hi-Res), the h.ear headphone series vividly colours your daily life. To enjoy Hi-Res in fashion, we pursued a simple appearance to blend into various styles. While sticking to the sound quality realised by the audio technology that Sony has been cultivating, the stripped-down decoration keeps the formative design minimal with a sense of unity that compresses all elements. The selection of five hues are carefully selected on the basis of fashion trends and the shift to single colour use. It is also designed to perfectly fit your head while being conveniently compact to carry. The outer box features a product designed for simplicity standing out in eye-catching fashion, with the single colour concept symbolically placed in geometric position against a clean background. 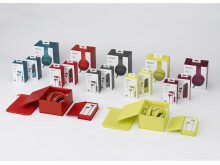 While the sides of the box are wrapped in the matching colour to the heaphone to produce a colour enhancing effect. 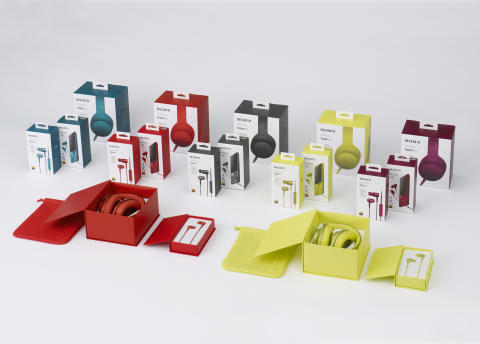 The inner box is the same colour as the headphone of choice, expressing cohesion with the product. This colour resonance sets the stage for excitement when opening the box and encountering the heaphones for the first time. The packaging is designed to be structurally simple yet with high quality material for a feeling of refinement and meticulous consideration for the customer experience. On the basis of creativity and marketing effectiveness of the work, Diamond Award, Platinum Award, Gold, Silver and Bronze will be given to the Pentaward winners, which consist of five major categories (Beverages, Food, Body, Other markets and Luxury). * All product names listed here are trademarks or registered trademarks of Sony Corporation and its affiliate companies.